Belize has a deep history that dates back to the Mayan civilization. Yes, this small country facing the Caribbean was once inhabited by the Mayans. Many of the pyramids built by this great civilization can still be found throughout the country. In fact, one of the largest Mayan artifacts carved from Jade was found in Altun Ha, located in Belize District. 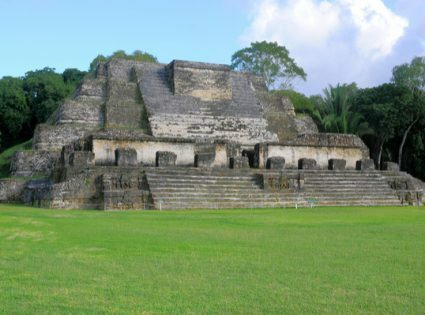 Currently, there are fifteen known Mayan pyramids, or ruins, in Belize. These are frequently visited by residents and tourist. Another fact about Belize is that it has the largest barrier reef in this hemisphere. 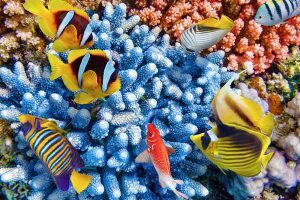 It is second in the world to the Great Barrier Reef of Australia. If you love scuba diving or snorkeling, you will enjoy the clean, clear water that averages 85℃ throughout the year. You can swim with the Nurse Sharks or turtles or dive with the locals for Conch or Lobsters. The Atoll is another place to visit. 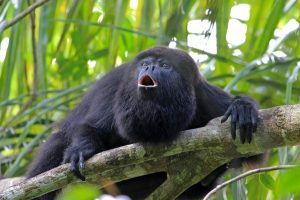 If you love being in the wild or forest, you may get lucky and see howler monkeys jumping from branches to branches or even get a glimpse of the National animal, the Tapir. Belize is one of a few countries where deforestation is not an issue. Since it is underdeveloped in regards to industries, you will see less pollution and more greens across the country. If you prefer a quiet and low key vacation, visit a resort that is located on the coast. 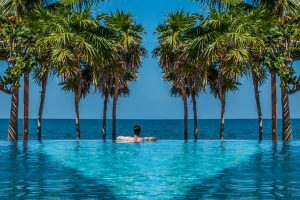 You will find these vacation spots usually come all-inclusive and will provide not only the best of Belize but the beauty the country has to offer. So, when you are in Belize, there will be plenty of things for you to do. Get out and experience one of the best places in Central America and in Latin America you will not find anywhere else.